We’ll get in touch with you within 24 hours! Fill out the form with your personal data and give our team permission to contact you. We’ll send you all the information and conditions to become a Velites’ partner. a network partner of Velites Sport. Increase the visibility of your company. Enjoy discounts and exclusive offers. Stand and merchandising material by Velites. Logo and link from Velites Sport to your web page. Support for the competitions and events you organize. Participation in the development of our products being the first ones to try them out. I would like to have Velites products in my Box. What should I do? Great! If you join our special promotion for partners Velites , you’ll have the opportunity to enjoy various discounts and benefits. Just contact us by email: international@velitessport.com , by phone +34 637 649 119 or directly with the form above. Only 10 units are enough to become a Velites’partner. Can I combine products in my first order? Of course you can! You can compose your initial order as a partner with any of our products. Do you send commercial material with the order? Is it possible to customize the products with the logo of my shop, my box or gym? 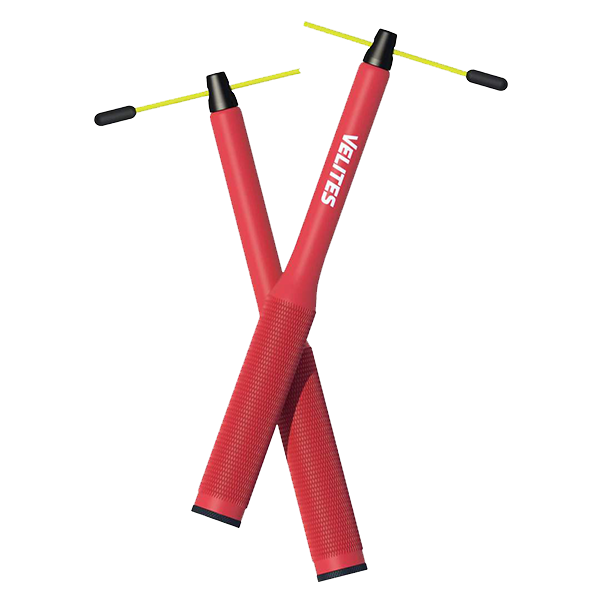 We can customize skipping ropes with laser engraving from 10 units that have the same logo or inscription.